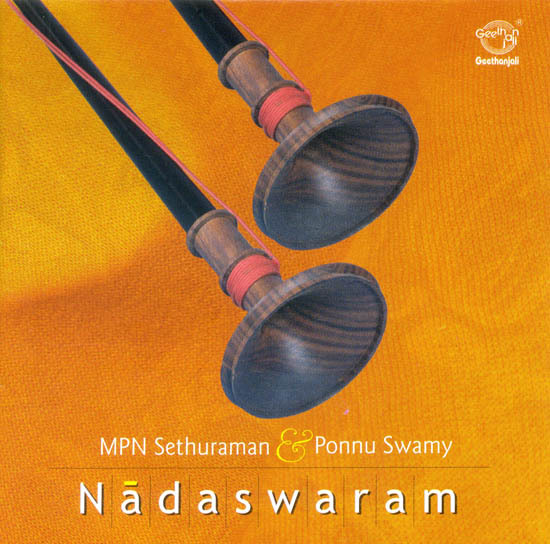 Nadaswaram, also spelt Nadhaswaram, and also called Nagaswaram, is one of the most popular classical instruments of south India and the world’s loudest non-brass acoustic instrument. It is a wind instrument similar to the Shehnai but larger with a large flaring bell, sometimes metal. It may be swung through the air while playing, creating a Doppler effect. In India the nadaswaram is considered to be very auspicious, and it is the key instrument which is played in almost all Hindu marriages and temples. The instrument is usually played in pairs, and accompanied by a pair of drums called thavil.